I saw this Youtube video on the Vasculitis UK Facebook page (formerly the Stuart Strange Vasculitis Trust) and thought it was worth linking to via this blog. It's just over an hour long so make a cup of coffee before you begin watching it. Here's a little bit of detail about what is covered in the video (don't let it put you off - the video is a lot easier to understand and even includes some jokes!). The intestinal epithelium is the largest mucosal surface providing an interface between the external environment and the mammalian host. Its exquisite anatomical and functional arrangements and the finely-tuned coordination of digestive, absorptive, motility, neuroendocrine and immunological functions are testimonial of the complexity of the gastrointestinal system. Also pivotal is the regulation of molecular trafficking between the intestinal lumen and the submucosa via the paracellular space. Under physiological circumstances, this trafficking is safeguarded by the competency of intercellular tight junctions (TJ), structures whose physiological modulation is mediated, among others, by the TJ modulator zonulin. The structural and functional characteristics of intercellular TJ and the protean nature of the intestinal content suggest that the gut mucosa represent the “battlefield” where friends (i.e., nutrients and enteric microflora) and foes (i.e., pathogenic microorganisms and their toxins) need to be selectively recognized to reach an ideal balance between tolerance and immune response to non- self antigens. This balance is achieved by selective antigen trafficking through TJ and their sampling by the gut associated lymphoid tissue. If the tightly regulated trafficking of macromolecules is jeopardized, the excessive flow of non-self antigens in the intestinal submucosa can cause autoimmune disorders in genetically susceptible individuals. This new paradigm subverts traditional theories underlying the development of autoimmunity, which are based on molecular mimicry and/or the bystander effect, and suggests that the autoimmune process can be arrested if the interplay between genes and environmental triggers is prevented by re-establishing intestinal barrier competency. Whenever I see something like this doing the rounds on Facebook I always check out the Science Based Medicine website to see if it is legitimate or not. Alessia Fasano was mentioned on this page - a balanced look at gluten sensitivity. Food sensitivities are a fertile ground for scammers, dodgy companies and conspiracy theories, most of whom have their own pet theory to promote, and/or want your cash for their 'miracle cure.' The page I have linked to outlines the issues surrounding gluten sensitivity and the current scientific understanding of it. I'd urge everyone to be sceptical of things you read on Facebook and do a little bit of research before you believe and share them. Science Based Medicine is a great place to start your research. 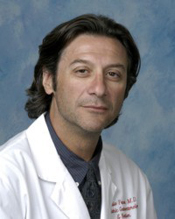 Alessio Fasano, M.D., founded the Center for Celiac Research in 1996 to offer state-of-the art research, clinical expertise and teaching for the diagnosis, treatment, and prevention of gluten- related disorders, including celiac disease, wheat allergy and gluten sensitivity. In 2003 members of Dr. Fasano’s research team established that celiac disease affects approximately 1 percent of the U.S. population, a significantly higher number than previously believed. Researchers from the Center also have recently identified molecular differences between celiac disease and gluten sensitivity, a newly defined condition on the spectrum of gluten-related disorders. During research designed to develop a cholera vaccine, Dr. Fasano uncovered a toxin, zonula occludens, which causes diarrhea by loosening the tight junctions and allowing intestinal permeability. Subsequently, the Fasano lab identified the protein zonulin, which controls this process. Dr. Fasano’s research since established the role of zonulin in the pathogenesis of celiac disease and type 1 diabetes. Safety and efficacy testing of a zonulin inhibitor, Larazotide acetate, has been completed and plans are underway for Phase III clinical trials of the compound. Dr. Fasano’s lab is currently investigating the composition and changes in the gastrointestinal microbiota to help determine why some individuals with an inherited predisposition to celiac disease develop clinical disease while others do not. His lab is also investigating the role of the timing of gluten introduction to infants in the development of celiac disease and working to uncover a biomarker and to develop a diagnostic tool for gluten sensitivity. In addition, the Center is pursuing possible links between gluten-related disorders and conditions such as schizophrenia and Autism Spectrum Disorder in certain subgroups of patients.